Welcome to Parkside Health & Wellness! We’ve been delivering quality chiropractic to countless patients since 2000. 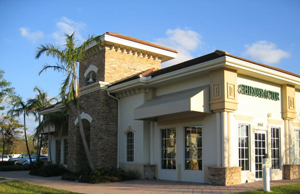 We have been in this office since 2003, helping people like you in Parkland, Coral Springs, Margate, Coconut Creek, West Boca Raton, and Deerfield Beach. We are more than just your “chiropractor near me” in your search engine. We are your source for pain relief and wellness. Our approach is simple. We believe that health is among our most valuable possessions. We generally meet people after they’ve lost their health & and suffer with various symptoms. We also see many patients interested in the maintenance of health and prevention of future problems, often times, these are people who sought us out for repair, but stayed for maintenance. We are a family oriented practice and offer relief, corrective, and wellness care. Many patients begin care in our office with a specific health concern or symptom and then realize that chiropractic is all about optimal health… how to get well faster and stay well longer often becomes the goal. We offer several ways to improve your health, get out of pain, or heal from an injury. Regardless of your health goals, please understand that we see ourselves as mere servants. You’re the boss! It’s your body, your health and your future. Our job is to offer you the finest chiropractic care, acupuncture, Braincore neuro-biofeedback, and Asyra bio resonance testing, & massage therapy possible, and it’s up to you to decide how much of it you want.